Sunshine Village has been in a process with Parks Canada to renew their National park land lease including new site guidelines. Both Lake Louise and Norquay, the other Banff National park land ski areas, have previously finalized new agreements with site guidelines. National park land belongs to all Canadians. This includes land for ski areas, which are the biggest commercial land users in the national parks. To protect these special places for future generations, Parks Canada ensures all development and use, is well planned and limited to what is necessary. These limits are described in ski area Site Guidelines. Site Guidelines are required for all national park ski areas; they help protect the park environment and visitor experience by setting environmental standards, and by limiting future growth and development. Once finalised, Site Guidelines are attached to the ski area’s 42-year lease. Site Guidelines are developed by Parks Canada in consultation with each ski area operator, and with expert advice on visitor experience, visitor safety, ecology, and ski industry standards. Sunshine Village is the last ski area in the mountain parks without Site Guidelines, which set the long-term parameters for its future growth in ways that respect the unique national park setting. Site Guidelines were openly discussed with Sunshine, and ideas proposed by both parties for a number of years. Sunshine was provided with a working copy of the draft guidelines in July 2017. 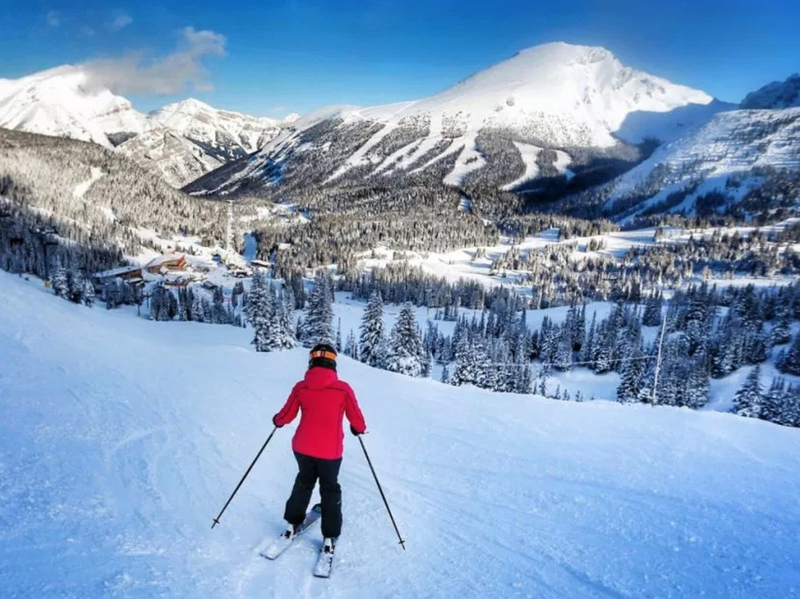 In an undated letter that Ralph Scurfield, president and CEO of Sunshine Village received on December 18, 2018, the acting chief executive of Parks Canada, Michael Nadler, made Scurfield an offer he couldn’t refuse. Scurfield has also been told by Parks Canada to choose one of two options — agree to a 42-year lease with an agreement to then give Sunshine Village Ski Resort to the Parks Canada for $1, or sever and remove every facility and return the land to its natural state. This week Ralph Scurfield, president and CEO of Sunshine Village, commented on the process, “Despite our disappointment and concerns we accept the Site Guidelines as you have presented them,” Scurfield wrote to Sheila Luey, acting field superintendent for Banff National Park. The new site guidelines, reduces the leasehold by 61 acres and gives Sunshine no new parking. The final Site Guidelines will become effective in 2020 when the current lease for the ski area expires and a new one is issued by Parks Canada to the ski area operator. Skiing at Sunshine Village will continue in future. In fact, potential exists for the ski area to grow (i.e. create new runs, increase daily skier maximum, build new lodges), providing there is sufficient infrastructure in place to support it, such as parking, water/ wastewater treatment, ski-out capacity and there is no environmental harm. No new hotel space may be added. The Site Guidelines propose a 15% lease reduction to Sunshine Village to allow the operator to pursue other types of development in the future that wouldn’t typically be allowed, such as water reservoirs, increased parking, new terrain development and widening/reconfiguring the ski out. The Site Guidelines propose a daily skier (design) capacity of 8,500 skiers from the current 6,500, and that all ski area infrastructure components (e.g. lifts, terrain, commercial space etc.) must not be built so as to exceed this maximum. The number of skiers was determined based on an assessment completed by a ski area industry expert, and the application of a standard formula to calculate design capacity. Demand management strategies (e.g. shuttle systems, people movers). The Site Guidelines also provide for consideration of Sunshine Village’s proposal for satellite parking lots that involve the use of additional, undisturbed national park land for development. In determining whether the final Site Guidelines allow for consideration of any of these parking proposals, Parks Canada will review according to its standard policy and regulatory framework for ski areas, as well as from an environmental perspective. The Site Guidelines allow for an increase in ski terrain and for new or replacement ski lifts to balance the daily skier capacity. They also provide for consideration of a lift parallel to the existing gondola to provide additional capacity and redundancy from the base area. The current commercial space at Sunshine Village is 9092 m2, excluding 84 hotel rooms and 1,032 m2 of exterior deck space. The Site Guidelines provide for an increase in commercial space of up to 3,650 m2 for a future total of 12,742 m2, to balance with the maximum daily skier capacity of 8,500. 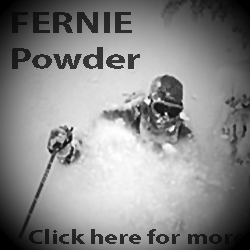 This represents 1.49 m2 per skier, which is within the industry standard of 1.1 m2 – 1.5 m2 of interior commercial space per skier. This is based on an assessment completed by a ski area industry expert to determine the necessary commercial space for the maximum number of daily skiers. Some development that would help alleviate the crowding at existing facilities, such as a new lodge at Goat’s Eye, was approved by Parks Canada years ago and may be built in advance of Site Guideline approvals. Clean water is core to environmental and human health. The Site Guidelines require the ski area operator to use sufficient buffer zones to protect Healy Creek from the sediment and salt from vehicles parking nearby. They also require the operator to meet all Parks Canada standards for wastewater treatment; standards which are applied to all commercial operators in the national park. The Site Guidelines do not require the ski area to build a new wastewater treatment plant, although the operator may choose to do this in future to support the maximum daily skier capacity. This is Parks Canada doing its job, Sunshine Village on the other hand is promoting that Parks Canada has used a heavy-handed approach. The drama will soon end and Sunshine Village will continue running their lifts.